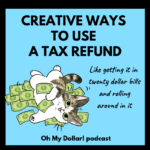 Creative (and Boring) Ways to Use Your Tax Refund - Oh My Dollar! 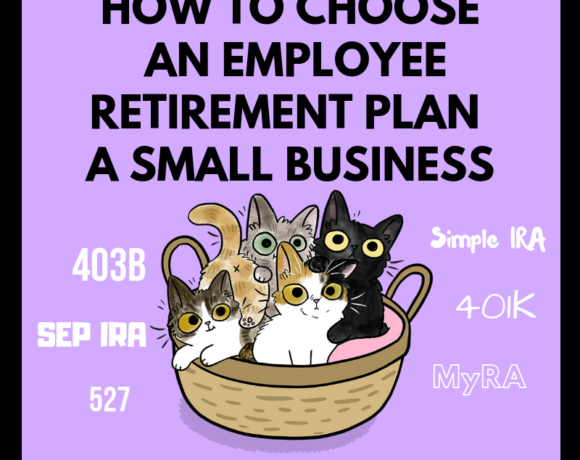 How to Choose An Employee Reti..
Alright, so you got a tax refund. Or some other fun chunk of money. How should you use it? Save, splurge, or…? Maybe cash it into twenty dollar bills and fill your bathtub with it and flop around like the rich magical being you are? 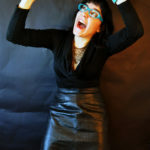 Lillian Karabaic: Tax refund time!! Will Romey: I’m host Number Two, Will. Lillian Karabaic: Will. I Have exciting news. I got a tax refund. Lillian Karabaic: Like a really big one. Lillian Karabaic: It’s you know it is also, like a refund of taxes that I paid, but it still feels exciting. Will Romey: Oh yeah. You know any time you’re getting a big lump sum feels good. I did not get a tax refund. Lillian Karabaic: One of the reasons I got it is because I save for retirement and I got the savers credit. Nice. And the other reason I got a tax refund is because I used a traditional IRA this year, and it lowered my taxable income. Will Romey: Your probably had bunch of business expenses, too. Lillian Karabaic: Yeah like fifteen thousand dollars in business expenses. So yeah. My gross -. Will Romey: Books aren’t cheap. Lillian Karabaic: Books are not cheap. Yeah. Lillian Karabaic: And I actually got the income that paid for those books during the 2017 tax year. But I had the expenses in 2018, so my taxable income was like a lot lower. Which, you know so – But you know I paid those taxes awhile ago. So anyway I’m really excited. I got – I got I already got it back because I filed quite a while ago I got fifteen hundred bucks back but the state and federal. Lillian Karabaic: Which is a lot of money to me. Lillian Karabaic: I don’t make a lot of money so that’s like more than a month’s expenses for me. So, I thought I would talk if you’re in the case of somebody is getting a tax refund. I thought we would talk about what things fun things you can do with it. Will Romey: If you didn’t get a tax refund, I’m sorry, but maybe you have other money coming in your life in some other way. Will Romey: So it’s a good idea. Yeah it’s a good plan, and it’s good to think about regardless ahead oof time. Will Romey: Thirty six trillion dollars. Lillian Karabaic: Yeah or like getting a getting an inheritance or something like that. Will Romey: Finding buried treasure. Lillian Karabaic: A bigger sum of money than normal and maybe a little unexpected, but not so much that it feels like a life-changing amount of money they can sometimes kind of just disappear, right? Lillian Karabaic: You know like tax refunds you like you got it and you eat really nice cheese for three weeks and then you’re like what happened to that a thousand bucks I got? Will Romey: This very off topic but there was a really good deal on the two pound box of cheddar. I got a bunch of cheese in my freezer so that’s allowed. Lillian Karabaic: Yeah. She’s totally freezes. I’ve I’ve learned this because I don’t eat cheese but my partner does and my partner travels a lot and can’t go through the cheese on the like two days a week at they’re home. And so we’re we’ve really figured out the whole freezing-of-cheese. Will Romey: Know where to look it up almost every cheese freezes. Even bries. Lillian Karabaic: So one thing you can do with your tax refund is buy a bunch of cheese on sale and then. Will Romey: Yes. That’s savings. That’s your savings account. Lillian Karabaic: Hey I think being prepared both with food and other. Lillian Karabaic: Oh yeah. Oh yeah. Lillian Karabaic: It’s a big deal, right? Will Romey: Oh yeah yeah yeah absolutely. Lillian Karabaic: It’s nice when you’re not having to eat like a pauper, towards the end of the month. You know waiting for that next paycheck because, you stocked up. Lillian Karabaic: So my first idea of things to do with your tax refund, other than cheese, I guess my second. Will Romey: *giggles* Item number two. Lillian Karabaic: Number two, cheese first, and then number two is kind of boring, but paying off debt. Will Romey: Yes. Totally not boring. I’m still like blown away by the point you made like early on in the show about the rate of return on paying off debt versus like anything else you can do with money. Lillian Karabaic: Yeah. Yeah. Like whatever your student loan interest rate is, that’s your rate of return. Will Romey: And it’s usually bad. Lillian Karabaic: It’s pretty high. You know maybe maybe you got like a Perkins loan or otherwise a subsidized loan, when interest rates are really low, but that’s still like four or five percent which like compared to putting in a savings account, You’re you’re gonna get a better rate of return paying that off. Lillian Karabaic: The other thing is like this is buying yourself a little freedom right? So if you’re, if you’re up to date on your student loans but say you get two thousand dollars back from the government, and you have to pay three hundred dollars a month on your student loans – you can pay forward your student loans, you know five months into the future with that tax refund! Lillian Karabaic: And it’s cool when you log in and you see that you don’t owe a payment for another five months. Lillian Karabaic: You can start to buy. I know people that have been you know aggressively paying down their student loans and they log in and that number is years in the future for when they actually owe their next payment. Will Romey: I’m paying regularly. Lillian Karabaic: Yeah but it’s a way to buy yourself some free time and like I’m a fan of that I like to buy myself time. Lillian Karabaic: I like to eliminate some stress. If you’re not current on your student loans. Use that to pay off debt, get current on those student loans. We have an episode that talks about how to get your student loans out of default. If you’re at that default point, and use that student loan to get current. Setup auto pay and make your nine out of 10 payments you need to make on time to rehabilitate your student loans. Will Romey: Yeah getting a chunk of money definitely kind of gives you would be like – I guess the freedom to do like get back on top of that. Lillian Karabaic: Yeah yeah. Or you know if they don’t if they’re not getting loans I focus on student loans a lot. I taught 20 hours of student loan material last week, so it’s top of mind. But you know, maybe get rid of that payday loan, payday loans have like a 250 percent interest rate. Will Romey: So which is a crazy rate of return. Lillian Karabaic: Yeah. You’re getting an awesome rate of return if you have one of those payday loans hanging over your head or a pawnshop loan or payback your roommate. Lillian Karabaic: I don’t know who you owe money to but if you’ve got some debt hanging over your head, especially a debt that can be cleared up quickly – you know like a small but lingering debt like a roommate debt or a you know hospital bill or a Blockbuster bill that got sent to collections. Get rid of it. Get rid of it with that student loan or with that tax refund. Lillian Karabaic: Other things you can do with your student loans. Will Romey: Can you use it to build your one month buffer or your emergency fund. Put some money in an account so you’ve got it there when you need it. Yes, I guess you always suggest – what, a month supply? One month buffer is your – your standard thing you should have. Lillian Karabaic: It’s one of my biggest first goals for people because it breaks that paycheck to paycheck cycle. I mean we saw this with all the government employees that were having to deal with the shutdown. Which is, you know, they didn’t get any paychecks for a month. And if they had had that one month buffer in place, there would have been less freakouts. Lillian Karabaic: And that one month buffer can make a huge difference. It’s one month of expenses and I recommend actually leaving that one month buffer in your checking account as long as it’s not so liquid that it starts to drip out. Lillian Karabaic: But it but it really does help you kind of move away from that panic to panic situation, in between your checks. And if you’ve already got that one month buffer in place, but you don’t yet have your emergency fund. We’ve talked about emergency funds a lot. Lillian Karabaic: Throw that money towards your emergency fund because it can be hard to be like Oh when am I going to possibly build up two thousand dollars of expenses in my checking account when I’m just trying to pay my bills? And I’m just trying to catch up on my student loans? Lillian Karabaic: But then suddenly you’ve got, a you know, a thousand dollar check from the government that can go a long way towards helping with those. So that’s also kind of boring. But you could save it in cash. Lillian Karabaic: Another option another kind of boring option. Will Romey: You can put it in your retirement savings. Lillian Karabaic: If you don’t yet have an IRA Ray you could use this as your initial deposit to open an IRA. And I am a big fan of talking about how starting early can make a huge difference. So I started my Roth IRA when I was 20 years old. And for most of my 20s, I put in 50 bucks a month and that was my standard amount that I put in even when I was making an eight hundred dollars a month in AmeriCorps. And I just put that 50 bucks a month in, and because I contributed to that early – I can stop contributing, and I would still have everything to cover my current expenses based on the average rate of return at retirement age. So I could make no more contributions. And that’s because early matters more than a lot when it comes to compound interest. 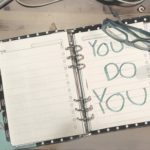 Lillian Karabaic: So you know stick it in there and ignore it forget about it until you’re ready to retire, and you can use it as a motivation to you know set up a IRA if you haven’t done one yet. Lillian Karabaic: I personally use Vanguard as my IRA administrator. We have some episodes on picking them, but there’s tons of options for setting one up. I don’t want to steer you to anyone in particular. I’ll just tell you what I use. But you might be able to do it through your bank. Anything like that but just getting it set up and putting a little bit in there, and the cool part about this is if you fall low-income. So if your adjusted gross income is below about thirty thousand a year, if you’re single then, and that’s your adjusted gross income. 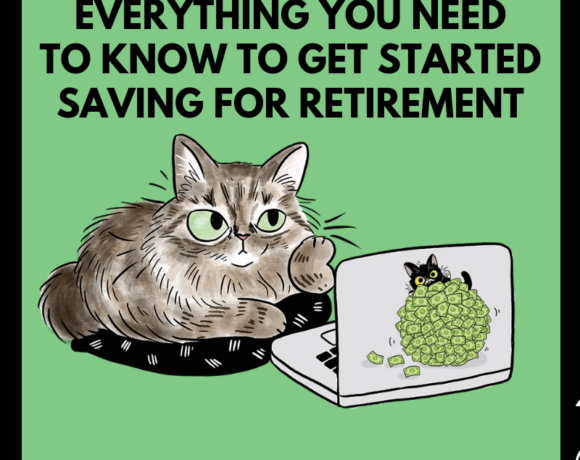 So that’s after you know you save in a traditional 401K and stuff like that. Lillian Karabaic: If it’s below 30,000 the government will pay you back some of the money you saved for retirement next year. Lillian Karabaic: So part of the reason, I got my – I got such a high refund is because. Will Romey: oh right the saver’s credit! Lillian Karabaic: I utilized the savers credit. And my income was below $30,000 AGI thinks business expenses/not making a lot of money. But because of that I literally – the government will pay you to save for retirement – we have a whole episode called “The government will pay you to save for retirement” and that will give you money back if you are low income. Lillian Karabaic: So you could just take that refund, put it in a retirement account, forget about it and then remember next year at tax time and get some portion of that money back- up to 50 percent of what you put into that will come back. So if you put a thousand dollars in there you and you’re at the lowest-income part of their scale then you’ll get five hundred dollars back at tax time, and that is a refundable credit so you can just keep rolling it over into your retirement savings. Will Romey: Oh neat! Oh that’s great. Lillian Karabaic: How cool is that? 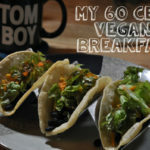 Will Romey: You can build up some categories in your budget, perhaps your car repair fund or your stupid mistakes fund. Lillian Karabaic: I’m a big fan of the stupid mistakes fund and talked about it. I don’t to have cash on hand for the inevitable eff-ups. Lillian Karabaic: Yeah I have lost my passport, so many times. Like I I I I think I’ve lost my wallet like eight times and I used to keep my passport in my wallet because it’s my only form of I.D., which I have since fixed because that’s not great to bringing it out to bars all the time. Lillian Karabaic: And I lost my passport 10 days before an international trip. Luckily I had my stupid mistakes fund, because it ended up costing me about $270 to get an emergency issued passport. Will Romey: Instead of the normal hundred or so. Lillian Karabaic: Yeah and I like had to take a train to Seattle and I also had to move part of a flight. Lillian Karabaic: So I literally went straight for the passport office got on the light rail and then got on a plane so directly to the airport. Will Romey: So jet set. Lillian Karabaic: Yeah or just stupid. I don’t know. Lillian Karabaic: Yeah one of those options but yeah it was better better to have that there and against the whole trip I’m sure. 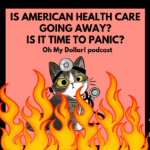 Lillian Karabaic: Yeah it or you know something like your car repair fund, vet bills, things that you know are kind of inevitable that you have some categories for in your budget like sinking funds or something like that. Lillian Karabaic: If there’s something that you feel like you could use a little padding, because you know you’re going to have one of those known unknowns come up. 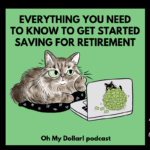 Lillian Karabaic: Throw it in the budget category it’s not quite the same as your emergency fund or your savings because eventually you’re going to spend spend that money. But it’ll give you a little peace of mind. Will Romey: Another one you could give some away perhaps a patreon, or a non-profit radio station. 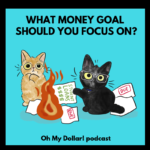 Lillian Karabaic: But yeah philanthropy is one of those things that I think it ends up being a lot of goal for a lot of listeners on this, but trying to figure out what that how – how to make room for that in your budget. Lillian Karabaic: I think a tax refund is a really great option because you can feel really generous, because it’s kind of an unexpected pile of money right? Will Romey: Yeah yeah yeah yeah. Lillian Karabaic: So yeah no I think that’s a good option and you could you could just give a portion, you don’t have to give all of it away right. Will Romey: That’s true or all of it away. Lillian Karabaic: Yeah. Whatever you want to do. That patreon – We have a top level tier there if you know you’re really excited about giving some your tax refund away. Lillian Karabaic: Other options. Buy yourself a treat – treat yoself. Lillian Karabaic: Yeah. Example. I used 70 percent of my tax refund to fill up my categories for a trip to Japan I am taking. Will Romey: That’s next week? This week for our listeners listening. Lillian Karabaic: I am there right now for you is there right now listening. Yeah. Will Romey: Knock on wood. Lillian Karabaic: So when you’re listening and what I will hopefully be in Japan yet. Will Romey: Just don’t lose your passport again. Lillian Karabaic: Well last time I was scheduled to go to Japan I was on my way to the airport when the earthquake hit. Will Romey: So you’ve still not been to Japan? Lillian Karabaic: And I’ve still not been to Japan. So I hoping to be there, now nine years later, I’m hoping to be there when this episode airs. But I put 70 percent of my tax refund this year towards filling up the categories in Japan for myself and I’d been saving towards that trip for a little while, but I use that to just round out and pad out my categories and it was nice because, I’m not going to be worried about having to eat all the fancy ramen I want to eat. So while I’m there. Lillian Karabaic: Visit all the cat cafes. Lillian Karabaic: Number seven is pretty cool too. You could pay future taxes. No one ever thought about doing a tax refund but that counts kind of like a somewhat painless way to get ahead. It’s to happen actually like seeing my my stack of bills. Yeah my bag of quarters. Lillian Karabaic: This is really good. If you’re someone who is self-employed, or has a side hustle and you don’t want to deal with paying quarterly taxes, because it isn’t a huge proportion of your income. Lillian Karabaic: One thing you can do is if you’ve got a tax refund you can actually just opt at the time that you file, to have it applied towards future years’ taxes and you don’t have to do all of it. Lillian Karabaic: You could do 50 percent of it. You could do a certain set amount. Lillian Karabaic: You can apply towards future year taxes or if you’ve already got the refund. If it’s already check- in-hand you could just shove it into your tax saving category. Yeah yeah yeah. You don’t necessarily have to have the government hold onto it. You could look. Will Romey: It’s the sort of budget for the future are. 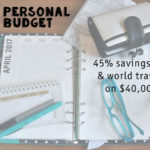 Lillian Karabaic: Just budget it! Well in my case I’m going to have quarterly taxes come due in April because I’m 100 percent self-employed this year which is mildly terrifying. And normally what I did is something I talked about before on the show which is that I just withheld at a higher rate at my W-2 jobs to cover my estimated tax payments. But this year, I will have to be making my quarterly tax payments. Lillian Karabaic: So part of the tax refund is just going to be rolled into that tax payment. Lillian Karabaic: Scott’s cheap flights. It’s a dangerous newsletter. I’ll link to it in the show notes. If you have a lot of wanderlust, and travel like me and like cheap flights. One problem that I have with Scott’s Cheap Flights, is it will be like $350 round trip to Australia and I’ll be like “uh…I should just go right now to Australia.” But I I like to plan ahead for my trips and so. Will Romey: I’d love to not. Lillian Karabaic: Not plan ahead? Lillian Karabaic: I got too much stuff to do, but I just think conceptually I’d love to able to just like slap some cash down on the table and like go to Australia. Will Romey: So one of the options whether or not you know you can move around at your job or whatever, but one one option is I actually now have my one Scott’s Cheap Flights impulse purchase per year category. Will Romey: That’s a good idea. 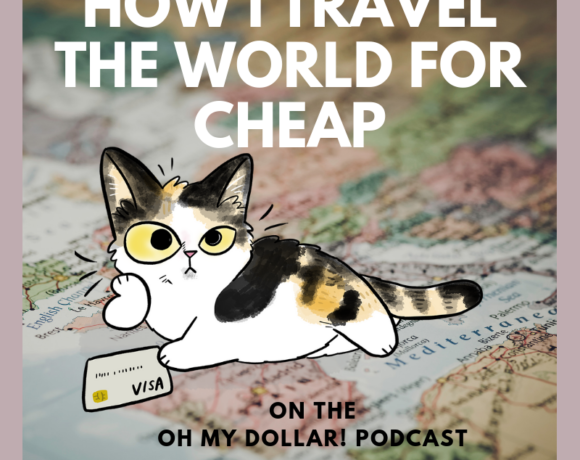 Lillian Karabaic: And like usually my rule is if something’s under like $450 and it’s an international flight to me that’s like if it’s you a country I haven’t been to before, it’s worth it. Yeah yeah but obviously I can’t be doing that every single day. And Scott’s cheap flight comes out pretty often, but now I just have some in a category and that’s going to allow me to be *my style of impulsive* which isn’t that impulse. Will Romey: The impulse buy category. No that makes sense. You’re you’re enabling the impulse. Yeah occasionally, responsibly. Lillian Karabaic: Totally. I just have a bunch of points to use that I’m sitting on so you know that’s a different story. Will Romey: But less impulsive. Planning. Lillian Karabaic: So much planning involved in it, as as you heard last week on our episode about. Will Romey: Lillian Karabaic, travel hacker. Lillian Karabaic: Imagine that I’m like Angelina Jolie in Hackers hyping vigorously vigorously and then getting on planes. I don’t know how. Will Romey: That’s not wildly inaccurate. Lillian Karabaic: Are you excited for tax refunds after this episode? You know we’re excited if you’re getting. Will Romey: I’d be more excited I had one. Lillian Karabaic: You’re an Oregonian though, so you’re gonna get the kicker this year. Lillian Karabaic: Which is this weird thing our state has which is that they pay us back when they don’t spend all of the money that they collect taxes on. I don’t think it’s a very good system. Lillian Karabaic: No there’s a lot of things that aren’t great about Oregon’s tax system right now. Yeah it. Lillian Karabaic: Yeah pretty rough Pers. yeah. Lillian Karabaic: Oh. Well you’re gonna get a kicker. Will Romey: I’m like I’m like at the point, where I think I’ve whined about having to do taxes long enough where I should probably just go to them. Will Romey: I need like that warm up period. Lillian Karabaic: It’s good to know how much you’re going to owe to if you’re going to owe. Or you can be like me and get really excited. Lillian Karabaic: So other thing to know is the sooner you file, the faster your tax refund comes- not just in terms of like it comes after you file, but the IRS gets really stressed out. Closer to the tax deadline. Lillian Karabaic: It takes longer and longer for them to process refunds. So if you file soon you get your tax refund faster if you file at the last minute. It can take like over a month. Will Romey: That’s a good incentive. Lillian Karabaic: Yeah go. I just got a $1.79 tax refund from the year 2014 sent as a check to my house. Lillian Karabaic: They had recalculated here or something and figured out I got another 179 so don’t spend that all. Will Romey: What you doing your buck fifty? Soda? Lillian Karabaic: I think I’m going to just deposit it and then put it in put it in my Scott’s Cheap Flights category. It’s going fully I’m not saving any of it! Will Romey: Scott’s very cheap flights. Lillian Karabaic: Yeah well you know I can round it off. Will Romey: Yeah yeah yeah yeah $1.50. Lillian Karabaic: I can go somewhere slightly more expensive. Lillian Karabaic: Our producer is Will Romey, our intro music is by Aaron Parecki, and your host and personal finance educator is me, Lillian Karabaic. Thanks for listening. Until next time remember to manage your money so it doesn’t manage you. The above audio transcript of “Creative (and boring) ways to use your tax refund” was transcribed by the best audio transcription service called Sonix. If you have to convert audio to text in 2019, then you should try Sonix. Transcribing audio files is painful. Sonix makes it fast, easy, and affordable. I love using Sonix to transcribe my audio files.